July 20, 2010 - no comments. Posted by Larz in Suckpax 1. Each box contains 252 cards. 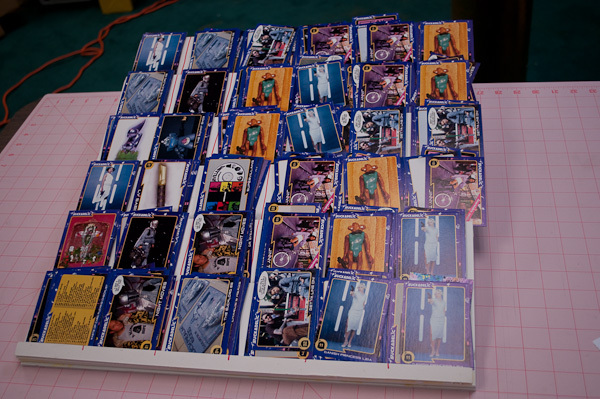 Before wrapping, we deal out the cards to go into one box onto a sorting board. 36 stacks, 7 cards per stack. Care is taken to avoid duplicates within a pack, and to put special cards into the center of a pack-stack.